Even though I am not american I know that Abraham Lincoln was not one of the founding fathers. Nor is Teddy Roosevelt, but they’re going off Mt. Rushmore, I guess. 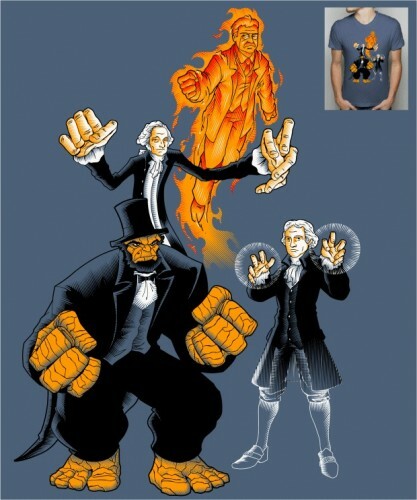 Would it not make more sense to call them the fantastic fore fathers? Lincoln and Washington should definitely have reversed roles. AHAHAHAHAHAHAHA! The one is the equivalent of the Invisible women, thus, he is a women and being imasculated years after his death. I’d buy it. Colonel-Yum-Yum: your wit does not go unnoticed. Well played. It IS called the fantastic forefathers!